There may not be a better place in the world to stroll through a Saturday market in the early morning sunshine than Castellina in Chianti. 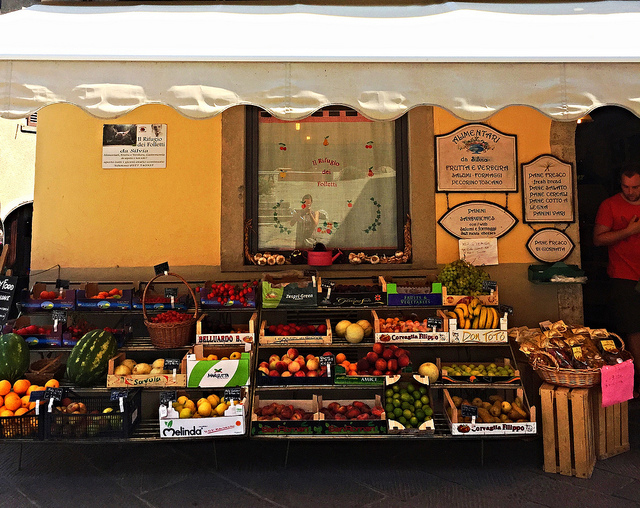 Along with a number of other beautiful little Tuscan towns, Castellina, about 20 minutes north of Siena, has a weekly market for locals and tourists alike to buy fresh produce and many other items. Each town has a market on a different day, so no matter when you’re in the area you can stop by before an afternoon of wine tasting or just to grab some fresh fruit for breakfast.